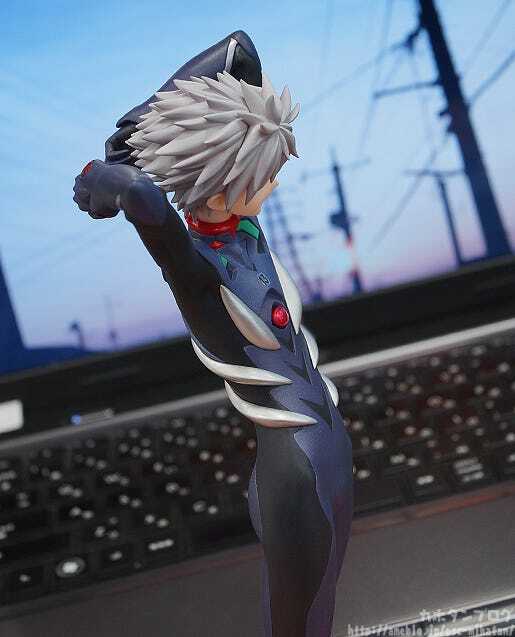 Kahotan's Blog | GOOD SMILE COMPANY Figure Reviews | FREEing’s Kaworu Nagisa! 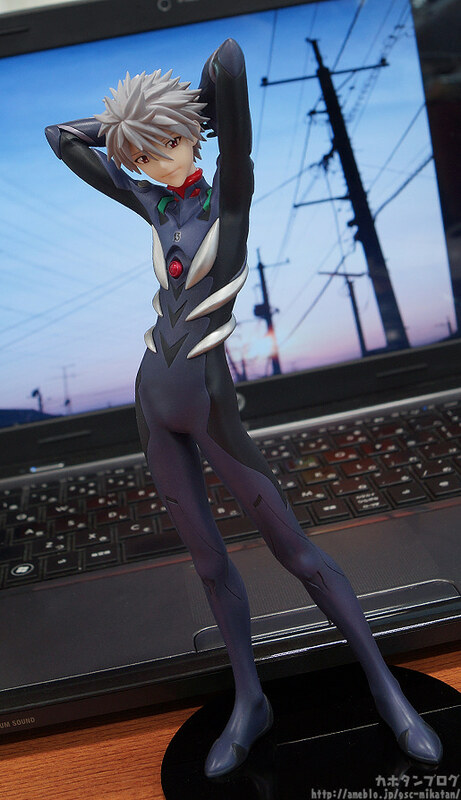 From the third movie in the Rebuild of Evangelion series, “Evangelion: 3.0 You Can (Not) Redo” comes a figure of EVA Unit-13’s pilot, Kaworu Nagisa. The mysterious charm of the beautiful Kaworu has been captured by sculptor ‘Hiroshi’ – even preserving the delicate atmosphere that accompanies Kaworu’s character. 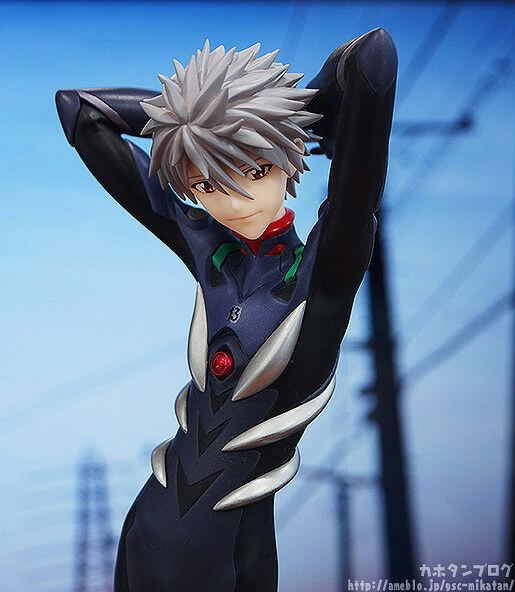 Everything from his stunning body-line to his gentle eyes have been carefully sculpted for Evangelion and Kaworu fans to enjoy for years to come! His deep gaze is looking me straight in the eyes, and his lovely body’s curves are brought out perfectly by the tight plugsuit! 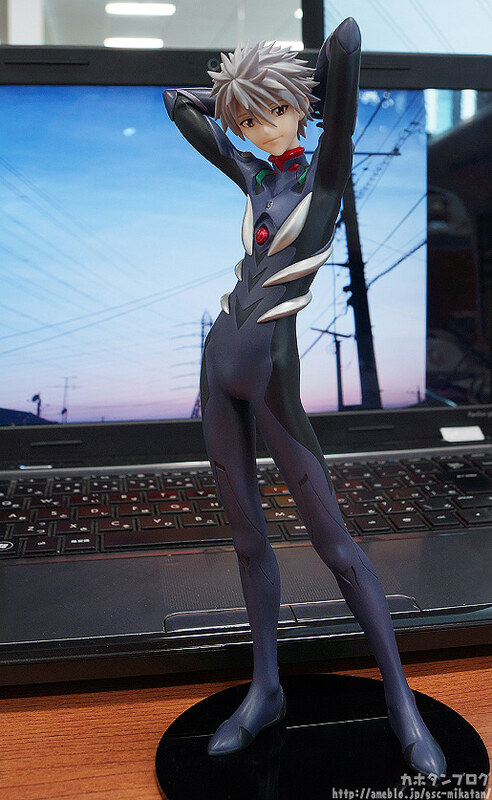 Plus just as the product description states, the figure even preserves the delicate atmosphere of Kaworu’s character! Even just having him on my desk seems to make my day a little less stressful! He has a slightly downward gaze, so looking from a slightly lower angle allows you to stare into his eyes… it also brings out his mysterious character really well! Personally however, I want to draw everyone’s attention to his amazing hipbone! Talking about his hips, I also have to point out the reverse side! Also note that in order to prepare for the broadcast, we will be closing down the Kancolle Cafe on the day of the event. Those watching the event live will also be unable to order items from the KanColle collaboration menu. The grand menu will be available. Plus, there will also be a limited edition drink at the cafe only available for the duration of the broadcast! 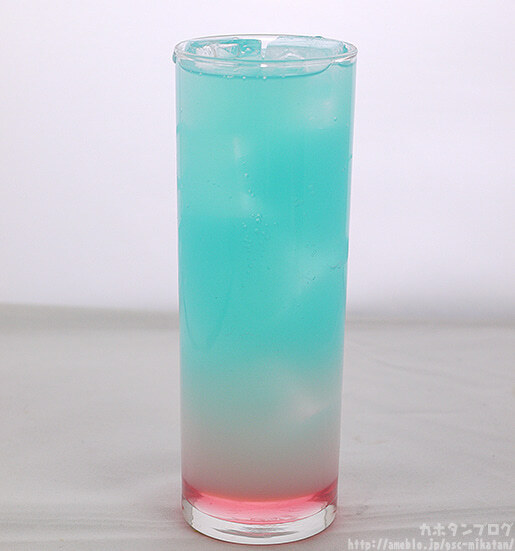 A drink to match the ‘Good Smile Kuji: Hatsune Miku 2014 Spring Ver.’!